Some people prefer to get married during the holidays because of the Christmas wedding decorations. Indeed, it is very joyful to wed during the Christmas season what with all the Christmas wedding decorations that you can use. It makes a wedding more memorable with all the shiny and glittery decorations around you. Couples who get married during the Christmas season must truly love the Holidays. The bright lights, the cold weather, the glitters and the red and green color make a festive wedding. So what kind of Christmas wedding decorations are we looking at? What Christmas decors are appropriate during a wedding and what wedding decorations are appropriate during the Christmas season? If you are looking for a fancy wedding, then keep the Christmas decorations as elegant as possible. Christmas lights are a great idea. You can also make use of angels, stars, Christmas trees, Christmas balls, glass ornaments, gold or silver decors, or even poinsettia flowers lined up on the aisle. Keep away from bold Christmas decorations like candy canes, Santa, or even elves and reindeers. 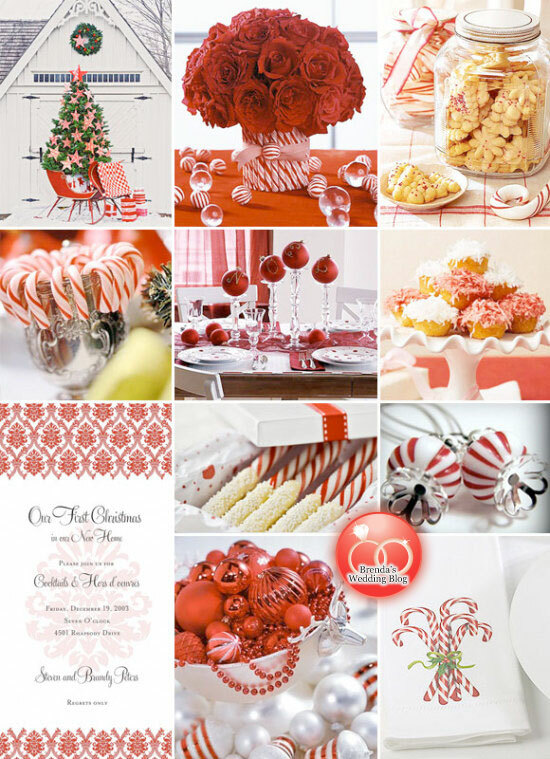 But if you are going for a fun wedding theme, you can make use of Santa, candy canes, Christmas trees, and other colorful Christmas decorations. 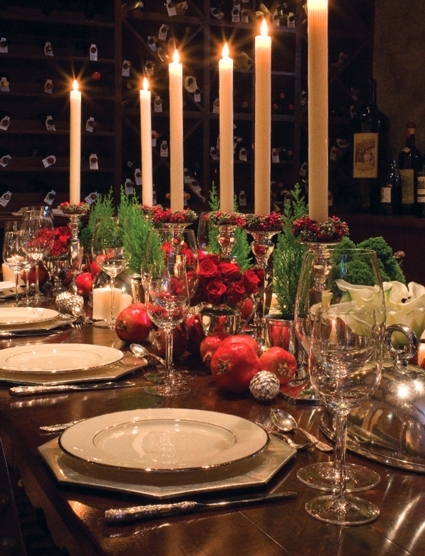 Once you have decided on your theme, decide on where to incorporate the Christmas decors. Make sure that your Christmas decorations compliment your wedding decorations. They should match and not clash. Take for example the poinsettia flowers mentioned above. Instead of going with traditional white or light colored flowers lining up the aisle, you can go with poinsettia flowers to emphasize the Christmas wedding theme. On the other hand, if you want to tone it down, you can still make use of light colored flowers and simply add up Christmas lights or hang Christmas ornaments such as balls or stars along the aisle.